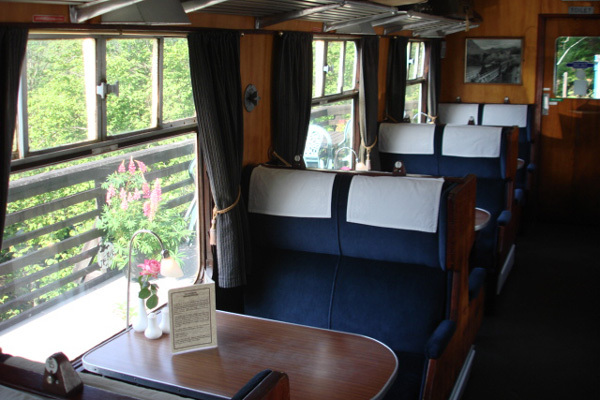 Come and enjoy the unique experience of dining out in a 1950's railway carriage with veranda viewpoint. 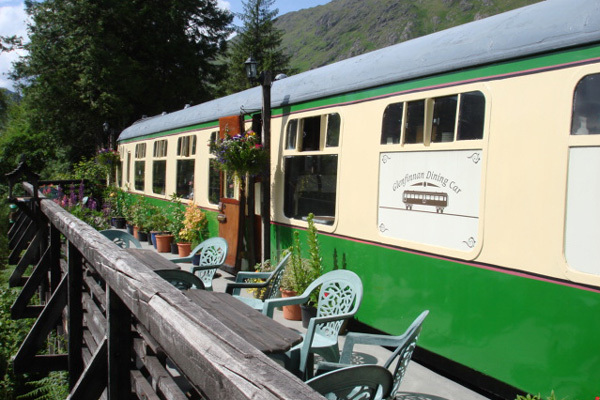 We serve whole leaf teas, freshly ground coffee, breakfast rolls, light lunches and a selection of home baking. Our focus is on good quality home cooking combining some traditional classics with our chef's own recipes. Group bookings available by prior arrangement. 7 days a week between 9am and 4:30pm. Our season runs from the end of April to the end of October.